I work in Vancouver so my normal mode of transportation is by car or the West Coast Express. 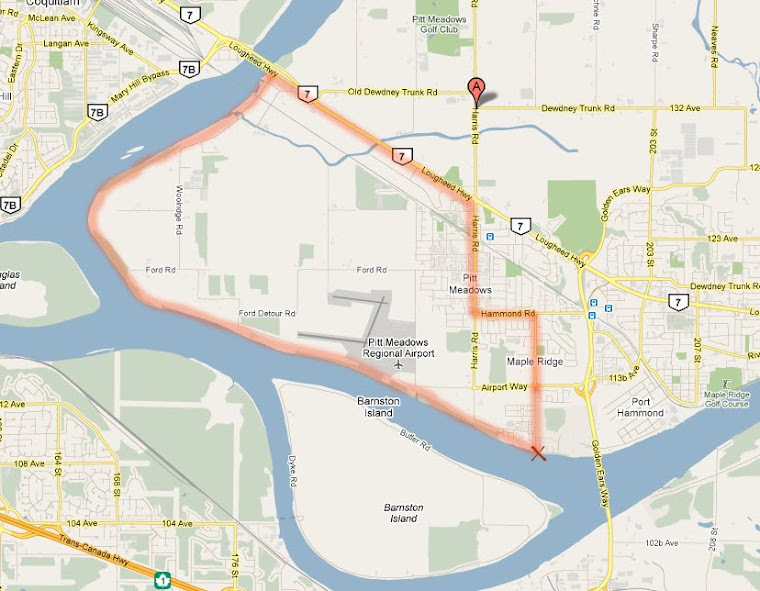 Within Pitt Meadows and area I will use my car or walk. We need to ensure we have adequate bike racks and well maintained cycling lanes and signage. Safety is very important. Pitt Meadows has been very proactive in setting up bike lanes and ensuring the roads are safe for cyclists. The use of bike lanes has helped to improve the relationship between motorist and cyclist as lanes are well marked and it creates an added safety awareness. As mentioned previously, Pitt Meadows has a more than adequate number of bike lanes. At this point we should establish a fund to ensure we maintain our existing facilities as well as ensure we can develop future lanes for any new roadways within the city. I think it is a great idea for a high density area such as Vancouver and could benefit some of the commuters in the area that work downtown. The municipality should promote and support cycling education and partner with local newspapers, cycling groups and schools to promote the benefits of cycling and safety. I believe e- bikes should be part of our transportation system. There are several benefits; economic as they are a cost efficient mode of transportation and their use may improve traffic flows. It provides an alternative transportation method and one that can be utilized by people who may not be able to travel longer distances on a convention bike. Yes. I’d appreciate the invite.